Visit Clarisse Atakhanian DDS Inc. if you live in the 91202 area and are suffering from gum disease. We offer periodontics care for those with mild to severe gum disease and by providing immediate treatments can prevent the condition from intensifying and creating permanent health problems. There are several signs that you may need to learn more about gum therapy treatment. If your gums are red and swollen, bleed when you brush your teeth, sore, or your teeth are appearing longer than normal, you might have gum disease. In this case, we invite you to call (818) 483-9071 and schedule an appointment with our Glendale, CA periodontics office for a thorough examination. We can then determine the best treatment solution for your particular needs. As a general dentist, the most common way that we treat gum disease is with a scaling and root planing procedure. The main cause of gum disease is plaque and tartar that has built up on the teeth, near the roots and under the gum line. This area is virtually impossible to clean on your own which is why visiting our family dentist office twice a year is so important. We can help to prevent a buildup of plaque and tartar in the first place. 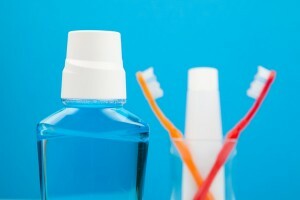 If gum disease still develops, we can remove it by completing a scaling and planning procedure. This is where we use a metal dental tool to break up the tartar and scrape it off of the tooth. Next, we need to smooth out the roots since tartar tends to cling to rough surfaces more frequently. As a periodontics dentist office, this is a procedure that we complete on a frequent basis so while it sounds intensive, we can ensure your comfort. 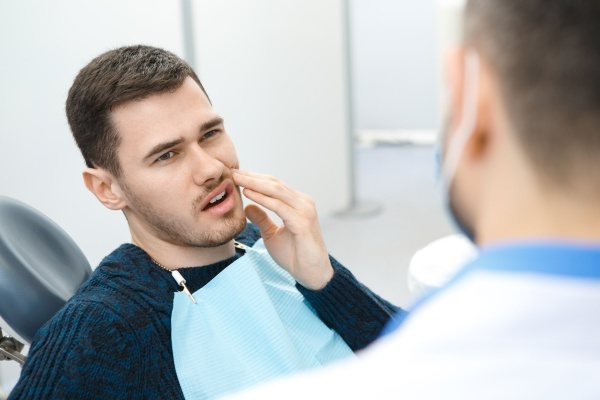 If you want to learn more about gum therapy treatment and the potential recovery time we invite you to schedule an appointment to discuss your specific situation. As a general rule of thumb, however, you can visit our cosmetic dentist office and have a scaling and planning procedure completed under anesthesia so that you do not feel anything. Depending on the extent of the procedure you may need to come in for several appointments. Afterwards, your gums will be restored to good health, allowing you to prevent adult tooth loss and the need for dentures in Glendale, dental implants, or a fixed bridge in Glendale. As an implant dentist, that places the crown portion of dental implants, we are happy to replace any teeth that you have lost but prefer to try and keep you healthy in the first place. This is why if you notice any signs of gum disease, you should call our emergency dentistry right away. When you are here, we can also discuss some of the other procedures that we perform, including teeth whitening, dental inlays in Glendale, dental extractions in Glendale, and more. In the event that you need any dental restorations, we can place them immediately as a CEREC dentist in Glendale. We can also straighten your teeth as an Invisalign® dentist in Glendale. To learn more about gum therapy treatment, periodontics or any of our procedures call and schedule an appointment.